This is the time where people love to go wireless, now everything is wireless then why not make our computers also wireless with wireless keyboards and mouse. 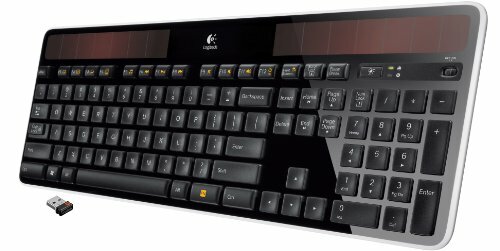 So to give the best options in the market when it comes to wireless keyboards, I am giving you top five wireless keyboards below, so check them all and choose the one that suits your requirements and budget. The best thing about this keyboard is that it is very thin and smooth, the keystrokes don't make any annoying sounds, and the range is great. Batteries are of simple AA type and will last a month or may be more than that. The feel of this keyboard is simply great and it is very slim and stylish too. Some more features of this keyboard are solid build, high-quality feel, quiet, clear design, excellent key response, small footprint, volume control, well-placed large 'Delete' key. But the only problem is that it doesn't have "Off" switch so you have to pull the batteries out every time you put it in your laptop bag. Even this keypad is great and it has got sturdy form, so it may happen that you may think that you have some flex in the keyboard when you have the legs up. But you won't notice anything unless you are actually typing in this sleek designed keyboard. It is very light weight and also easy to move. The set up of this keyboard is also very simple and quick. But some of the problems in this keyboard is that there is no lights to let you know that your caps & number locks are on or off, but you will get screen notification if you change them. It has got glossy surface which may get dirty after sometime. It doesn't have attached palm rest. 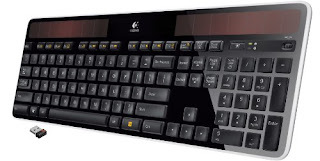 You cannot deny the fact that Logitech engineers have delivered so many items related to wireless keyboard and mouse combo and trust me, all are simply great. But the Logitech Wave Combo K550 is the greatest, as it will offer you the best solution for your hands and wrists pain and once you start typing in this keyboard, you will hardly notice any pain or stress. 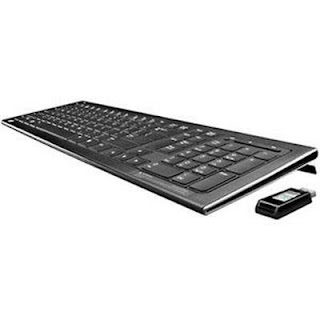 With this keyboard you will get the freedom of wireless connectivity and also one-button access to the applications you use most. The best feature is that it has extended battery life and it is quite easy to use as well. 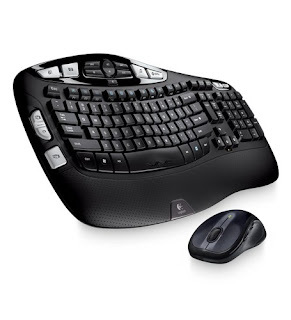 Some of the great features of this keyboard are that the batteries will get recharged with Micro-USB cable, backlit keys are automatic and adjustable so if you do your typing in the dark it won't disappoint you, it has got unifying receiver which connects multiple devices using single plug; it has perfectStroke key system that will offer uniform tactile feedback. But the only problem with this keyboard is that the thin profile design is not durable. I totally love the design of this keyboard, the design is nice and it has got a lot of media keys to provide you great shortcuts. The space between the keys is good, it has also got number pad, the receiver is small, the lock of this keyboard is instant with shutdown/sleep facility. But some of the problems with this keyboard are that it doesn't have any setpoint support, no LEDs, it has also little bit of a lag and also no native Win 8 Support.